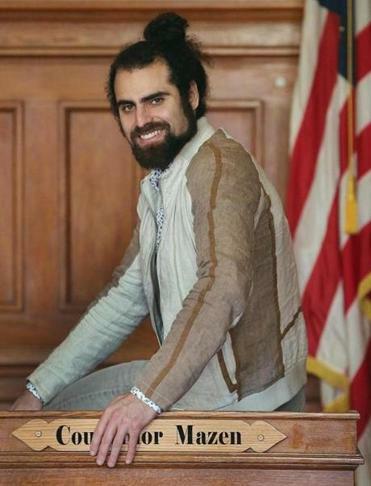 Cambridge City Councilor Nadeem Mazen was the first Muslim elected to a government post in Massachusetts. CAMBRIDGE — Nadeem Mazen would prefer to talk about boosting affordable housing, increasing the minimum wage, or improving education. But lately, the first Muslim elected — and, recently, reelected — to a government post in the state has been talking a lot more about his faith. Even before extremists struck in Paris and San Bernadino, Calif., Mazen was defending his religion after an article by a group targeting Muslim leaders surfaced last month, accusing him of being a front man for a terrorist group. Since the massacres, Mazen said, he has felt swept into the vortex of fear and heightened political rhetoric swirling around Muslims. The vitriol pierced his Twitter feed, his voicemail, and the supportive wall of his inner circle. It grew worse after GOP candidate Donald J. Trump said federal authorities should temporarily ban Muslims from entering the country. “My first violent threat was a few days ago,’’ Mazen recalled this month. It was another reminder, Mazen said, of the difficulty he faces as a public servant and as a Muslim. Mazen burst onto Cambridge’s political stage in 2013, when voters elected him to the City Council. His grass-roots campaign emphasized empowering the people. Cambridge wrapped its collective arms around him, returning him to office at the top of the ticket in November. Devereux befriended Mazen after his first election victory, and he had encouraged her to run for the council. She did and won. 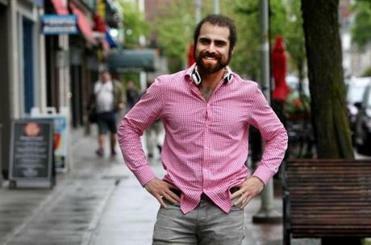 Mazen, 32, is the son of an Egyptian-born father, Magid, and an Indiana-bred mother, Michelle. Nadeem was born in Normal, Ill., and at age 5 moved with his family to Andover after his father became a professor at Suffolk University. The younger Mazen attended Phillips Academy and graduated from the Massachusetts Institute of Technology in 2006 with a degree in mechanical engineering and a minor in applied international studies and biomedical engineering. 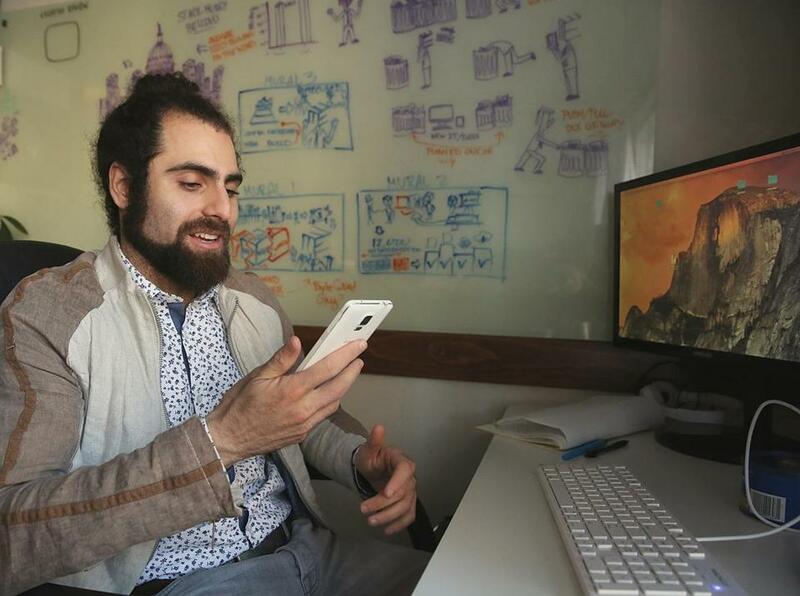 After MIT, he stayed in Cambridge, where he launched two startups: an animation, design, and video production firm called Nimblebot and a design studio called danger!awesome. Mazen gained a following as an emerging leader and member of a new generation of American-born Muslims who believe that people of their faith should play a central role in communities outside their mosques. Unlike many of their predecessors in the Muslim community, young leaders such as Mazen were raised in America and were more likely to express concerns about counterterrorism efforts that target their community amid the rise of Islamic extremism and its global online recruitment efforts. 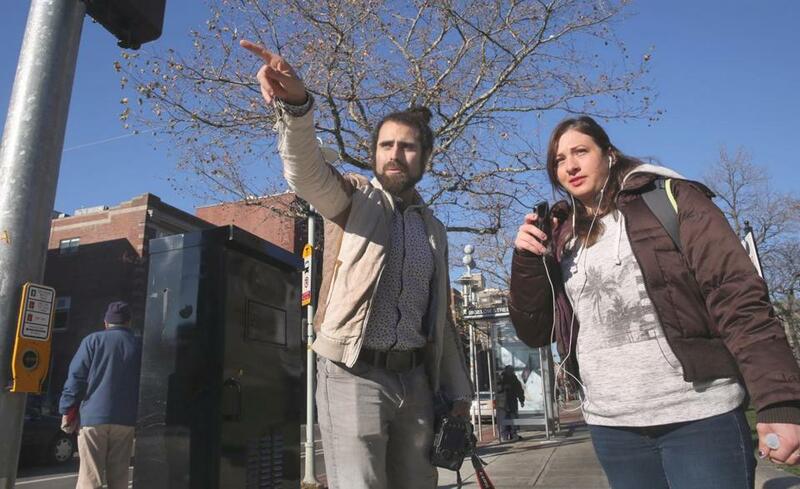 City Councilor Nadeem Mazen gave directions to Allston resident Sarah Mason outside Cambridge City Hall recently. Mazen was reelected in November. Last year, he founded MassMuslims to teach community organizing and political campaign skills and to build stronger relationships among mosques, schools, and the community. Earlier this year, he helped form the Massachusetts chapter of the Council on American-Islamic Relations, a civil rights group known as CAIR that supports Muslims engaged in the fight against discrimination. Outside CAIR, he and his team of political and community advisers are building a network of supporters ready to pounce in the press or on social media when they see what they regard as hateful rhetoric directed at law-abiding Muslims. On the day of the San Bernadino attack, for example, Mazen took to Twitter to appeal for unity. The dawn of broader Muslim activism has arrived, Mazen said. He noticed that faith leaders have been spontaneously rising to reiterate the Muslim credo for peace during Friday worship. Recently, an imam began talking to Mazen about raising the minimum wage and tackling affordable housing. In small ways, Muslims are also beginning to eye politics. In the past election cycle, two more Muslims joined the ranks of elected officials. Kemal Bozkurt, director of the Lawrence Public Library, eked out a victory in a write-in campaign for the School Committee in Lawrence, and Randolph voters tapped attorney Abdi Ibrahim for a similar post. Even with those victories, Mazen said he and others must reset the narrative each time there is a terrorist attack. In recent weeks, incidents of hate speech and attacks on Muslims have increased, according to national reports. Islamophobia has become a massive, well-operated machine, Mazen said. “It’s like Klan-level stuff,’’ he said, referencing the Ku Klux Klan. Mazen, like other Muslims, said he is forced to hit the pause button on advocacy work to defend his faith and patriotism or to fend off blame for the acts of the same extremists he and others denounce. At the same time, Mazen and other advocates must work to shield Muslims against retaliation. Last month, he found himself the main target after an article appeared on the website Breitbart.com that asserted Mazen is linked to the terrorist group Hamas. “So, what is he doing as a twice-elected councilor of Cambridge, a city where the Boston Marathon bombers were radicalized, and where they wreaked havoc during their getaway spree?” the article said. Mazen called the article “crazy” and untruthful, saying it has “no bearing in reality.” He said that any time a Muslim leader gains popularity he becomes a target. Charles Jacobs, who leads a group called Americans for Peace and Tolerance, acknowledged that two of his organization’s researchers wrote the piece. Jacobs charged that Mazen is presenting himself as a progressive leader but is actually a secret radical. Jacobs cites, as proof, a 2007 federal trial involving the Holy Land Foundation for Relief and Development, once the largest Muslim charity in the United States. In that case, Holy Land Foundation and five of its leaders were convicted of using the charity to funnel millions to Hamas, designated by the US State Department as a terrorist organization. The Council on American-Islamic Relations was tagged, along with more than 200 other organizations, as an unindicted co-conspirator in that case. After the trial, the FBI limited interactions between its field offices and the Council on American-Islamic Relations, government documents show. The FBI limits remain in effect, but the council said it still works with federal agents. Sam Westrop, one of the authors of the website article, said Cambridge residents should demand answers from Mazen. Mazen called the Jacobs article “the worst kind of smear,” accusing Jacobs’s group of engaging in Islamophobic rhetoric. He and officials from the Council on American-Islamic Relations said the group had nothing to do with the Holy Land Foundation and has done nothing wrong. The council’s sole focus, he contended, has been to defend civil liberties. “Such an attack is an insult to our city in a period of heightened Islamophobia,” the Fresh Pond Residents Alliance said in statement condemning the article. City Councilor Dennis J. Carlone, who sponsored the measure, said his colleagues wanted to send a strong message about Mazen.